The newest Jubilee Centre book contends that the biblical law—and particularly the Old Testament laws that applied to Israel concerning Sabbath, the usury prohibition, and Jubilee—provides a coherent paradigm for envisaging an alternative to the current capitalist system, one that will encourage relationality. 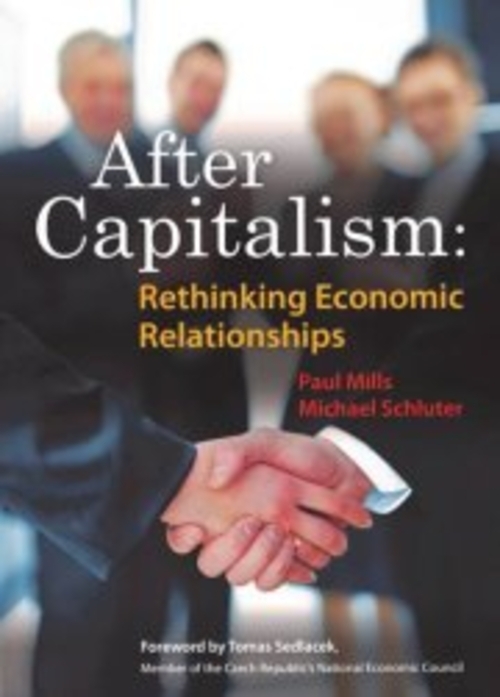 After Capitalism: Rethinking Economic Relationships by Paul Mills and Michael Schluter. Jubilee Centre, 2012..
After Capitalism makes available, in a single volume, fourteen essays previously published by economists Paul Mills and Michael Schluter of the Jubilee Centre, Cambridge, England. These essays cover a diverse range of topics from an analysis of the Global Financial Crisis to the presentation of a framework for personal saving and investment based on biblical instruction. What unites these essays is the authors' commitment to using the biblical witness to critique the existing economic system of late capitalism—I say late capitalism to distinguish it from earlier versions of capitalism that were different in structure and had different institutional and policy settings—as well as its associated institutions, policies, and practices, and to help us imagine a viable alternative and to adopt counter-cultural practices (hence the title of the book, After Capitalism). In fact, Mills and Schluter's stated aim for their book is "to make both the critique of Capitalism and the outline of an alternative system available to a wide readership." For Mills and Schluter, late capitalism has encouraged a society that is excessively materialistic, has separated economic reward from responsible stewardship, and is characterized by power imbalances, hyper-mobility, and unjust economic inequality (particularly Chapter 3, titled, "Is Capitalism morally bankrupt?"). One main consequence that follows from this sort of society is a "relational poverty" that "threatens many people's sense of identity, leading to profound restlessness and unhappiness." In contrast, a Christian understanding of God and the world, in which the relational is the "key to understanding ultimate reality," seeks to make the "quality of relationships" central to economic life. It is Mills and Schluter's contention that the biblical law—and particularly the Old Testament laws that applied to Israel concerning Sabbath, the usury prohibition, and Jubilee—provides a coherent paradigm for envisaging an alternative to the current capitalist system, one that will encourage relationality. This economic paradigm allows for "the unfettered operation of market forces" when it comes to the production of goods and services, but places restrictions on factor markets, for example, by prohibiting lending at interest and making certain types of capital inalienable. Mills and Schluter recognize that Israel's economy was primarily agrarian whereas modern economies are based primarily around the manufacturing and services sectors and, therefore, the biblical paradigm needs to be creatively applied in the current context. Two of these applications that are particularly interesting (and controversial) given events in the global economy during the last five years are the prohibition to lend at interest and the removal of limited liability for companies. 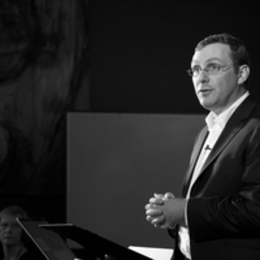 Mills notes several problems associated with lending at interest in modern economies; for example, that debt finance tends to get allocated to those who are "safe" borrowers—those who have a lot of collateral—rather than to the most productive investments and debt finance is used to finance speculation in assets and property. Instead, Mills calls for interest-free lending among family members and local communities and the use of equity finance, in which parties share equally in the risk from business ventures, in order to reduce or even eliminate some of the problems associated with lending at interest and to foster closer economic relationships between people. In a similar way, Schluter outlines some of the problems associated with limited liability—the policy that in the event of a company bankruptcy, individual shareholders will not be liable for any outstanding company debts beyond what they have already invested in the company. According to Schluter, this is a violation of the biblical principle that "debts must be paid" and that ownership entails the responsibility to do so. Moreover, "limited liability has also facilitated corporate capital accumulation," which has undoubtedly brought benefits, but also carries risks associated with the concentration of economic power. In outlining their proposals, Mills and Schluter anticipate that some of their readers are likely to find it difficult to imagine a world that differs from the status quo or, even if alternatives can be imagined, that it is possible for change to occur. For instance, Mills writes that the notion of an interest-free economic system "comes as something of a shock to the modern mind grown accustomed to the omnipresence of interest" and Schluter points out that "some might argue limited liability is so entrenched that it cannot be changed." Given these sorts of responses—and it is commonplace to find people asserting that late capitalism is really the only viable economic system on offer—After Capitalism is important because it presents a vision for an alternative market-based economic system that makes the quality of human relationships central, and a description of some institutions and policies that are necessary to move toward this vision. This book, then, serves to re-awaken our imaginations to alterative possibilities for our economic life together. At the same time, After Capitalism is a decidedly realistic discourse in two important ways. 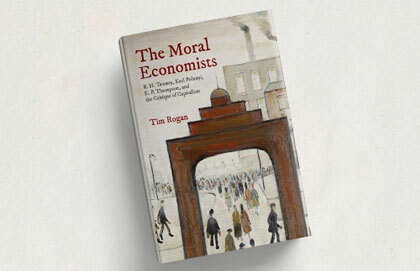 First, it recognizes that the context for imagining and implementing alternatives to late capitalism is pluralistic liberal democracies, where sound public arguments that have general appeal need to be made in order to garner support for change and where existing institutions and policy settings are often far from the ideal. This means that opportunities should be sought for incremental institutional and policy change that moves economic life in a relational direction. Second, After Capitalism recognizes that there are costs associated with moving to a different economic system. Mills discusses this particularly in reference to developing a non-interest financial system. However, I think this point can and needs to be made more generally for those Christians who are seeking to embody a different economic ethic and to work for an alternative to late capitalism. There are real costs involved in this endeavour and it will require the virtues of patience, fortitude, and hope; the economic system that comes "after" capitalism may prove to be some way off. For this reason, we need books like After Capitalism to provide inspiration and resources for the journey. A lot hinges on whether capitalism has a history.